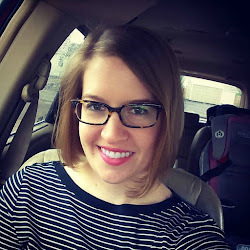 Miss Anna Pie: 2013 New Year's Resolution Update AND We Are Licensed! 2013 New Year's Resolution Update AND We Are Licensed! You may remember from this post that my/our new year's resolution at the beginning of 2013 was to listen, answer and trust. Here's my habitual end-of-year update on how all that went. We began 2013 with a lot of question marks. Our initial efforts to become foster parents had come to a screeching halt, leaving us frustrated and trying to discern if it was just a detour or if we were on the wrong path altogether. Trent was beginning to feel the pull to attend seminary, but what did that mean for his already full two-job schedule, for our church involvement, for our kids? We talked to each other. We tried our best to listen, answer and trust. We continued to pursue foster care, this time through Texas DFPS. We said see ya around to our kids and Trent exited his youth ministry position at church. We stepped away from our church of six years and into a new one. We sent Trent across town to his first semester of seminary. So here we are at the end of 2013. It was a year of big changes, big tears and big smiles. And what better way to close it out than notification from our social worker this morning that we are officially licensed foster/adopt parents! We have a meeting with her Monday morning. After that she will put us on the vacancy list and we could get a call for a placement any time. This is getting real folks! Oh Hi There, Remember Me? Wait A Minute, Don't Foster Parents Get Money?